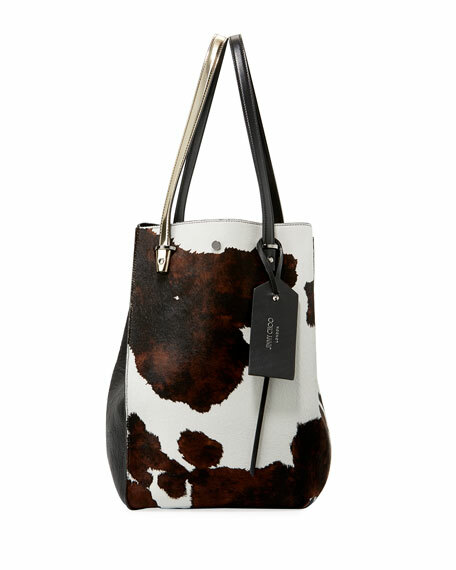 Jimmy Choo "Twist" tote bag in cow-print dyed calf hair (France) and grained leather. 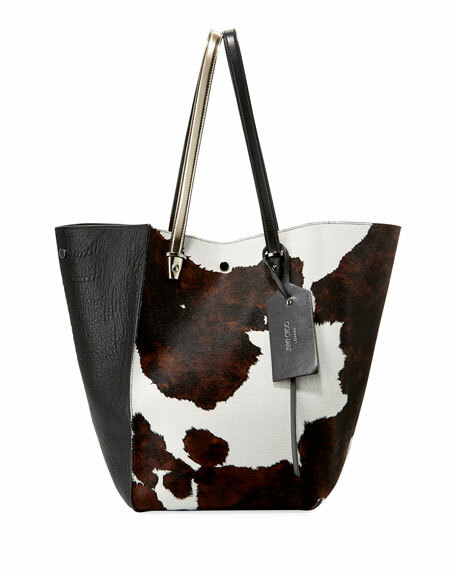 Metallic and smooth leather shoulder straps; 11" drop. 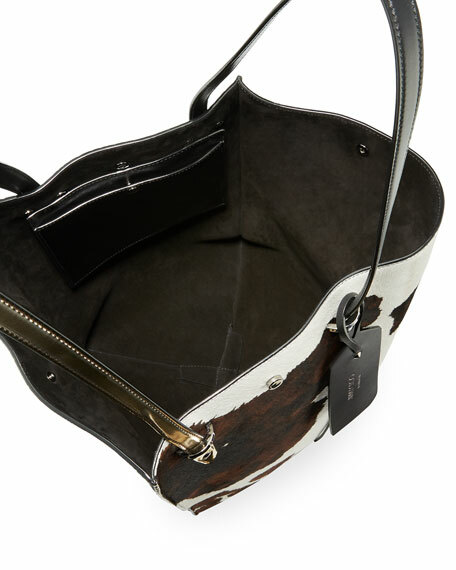 Snaps secure top of bag. 15"H x 10"W x D". For in-store inquiries, use sku #2063849.